Set of 3 Colorful Hanging Birdhouses for Miniature Fairy Gardens. 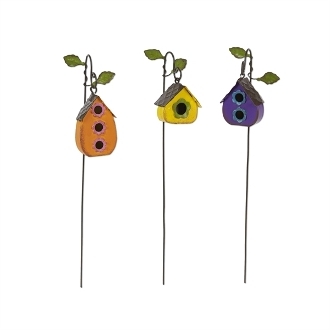 This set of 3 hanging birdhouses has a distinctive, adorable look. Their bold colors make them the perfect addition to any mini garden.